Thank you for pledging your support for the SPUR Summer Parties. This is a members-only event. Non-members may join SPUR to attend any party. I understand that physical tickets will be issued by mail. They will be mailed to the primary contact person indicated below. I plan to pay my sponsorship online via credit card within 30 days of my sponsorship pledge. I need an invoice and will pay by check within 30 days of receipt of the invoice. 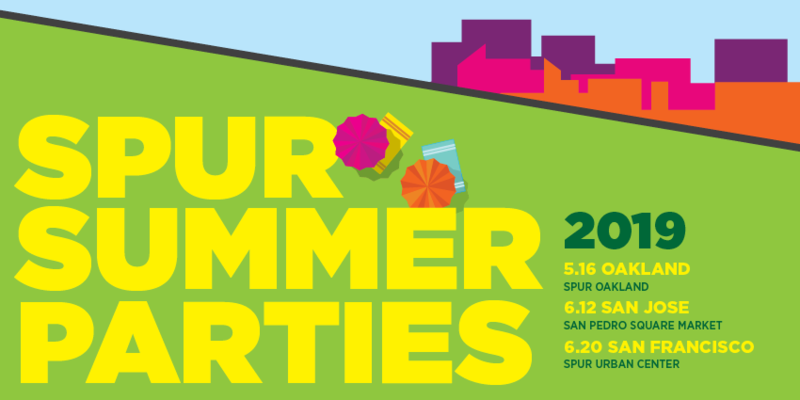 Join us this summer to party with SPUR! Join us for the Bay Area’s largest gathering of urbanists! 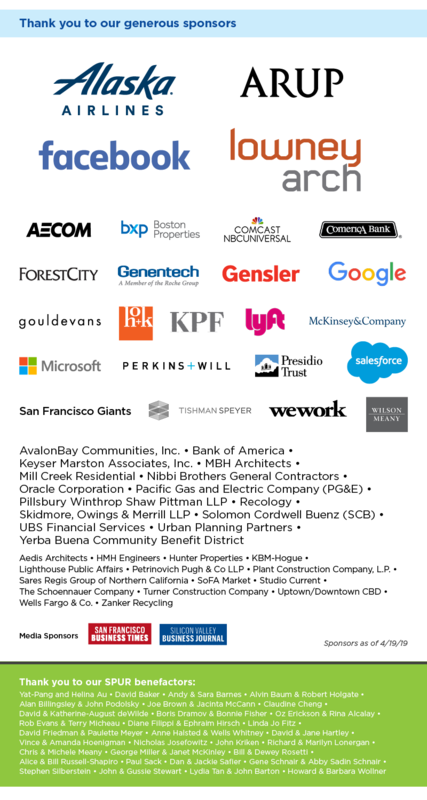 Our three annual parties — in Oakland, San Jose and San Francisco — bring together more than 1,200 attendees for networking, cocktails, food and music. 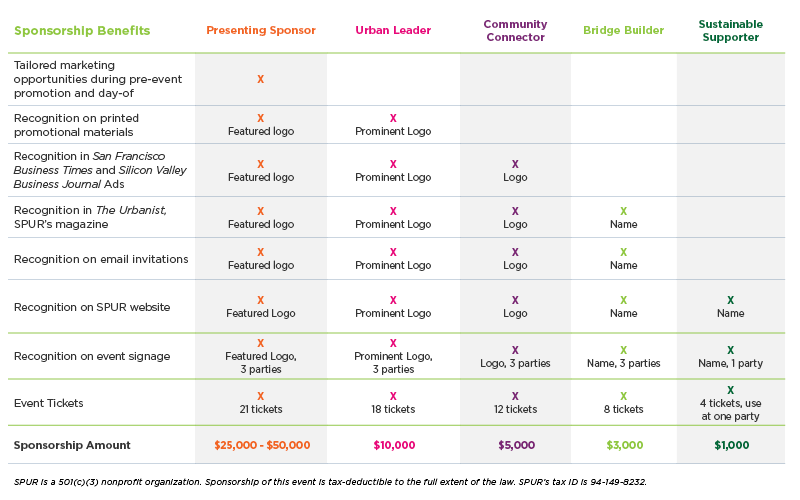 May 16, 2019 | 5-9 p.m.
June 12, 2019 | 5-9 p.m.
June 20, 2019 | 5-9 p.m.
For more information on future sponsorship opportunities, contact Anna Nicholls, Director of Corporate Philanthropy, at (415) 644-4882 or events@spur.org. SPUR is a 501(c)(3) nonprofit organization and sponsorship is tax deductible to the full extent of the law. SPUR's tax ID is 94-149-8232. ALREADY A MEMBER AND WANT TO JOIN THE PARTY FOR FREE? 2) Second, give your friend your full name and email address and let them know to enter it when prompted at online check out. 3) Third, receive a confirmation email from SPUR that you will show to gain free admission to the party.